In an imagined summer of 1946 as war-weary Londoners began to repair their bombed and broken city, Buddleia’s (Buddleja davidii) striking purple flower spikes were a common sight among the jagged ruins of former buildings and streets. Since the darkest nights of the Blitz this pioneering plant had quickly colonised the newly created acres of wasteland providing a welcome sign of renewal as they smothered the ruins and bomb craters. Against this trashed and broken cityscape flights of urban butterflies could be spotted dancing through a low forest of arching branches from one irresistible nectar laden flower to the next. Earlier this year Buddleia was recognised by the Museum of London as the plant that Londoners think best symbolises their city and a bush was planted in the Museum’s (too small for a Plane tree?) urban garden. The reason the buddleia proved to be the most popular seems to be its hardiness and its ability to adapt to what London throws at it (a striking metaphor? 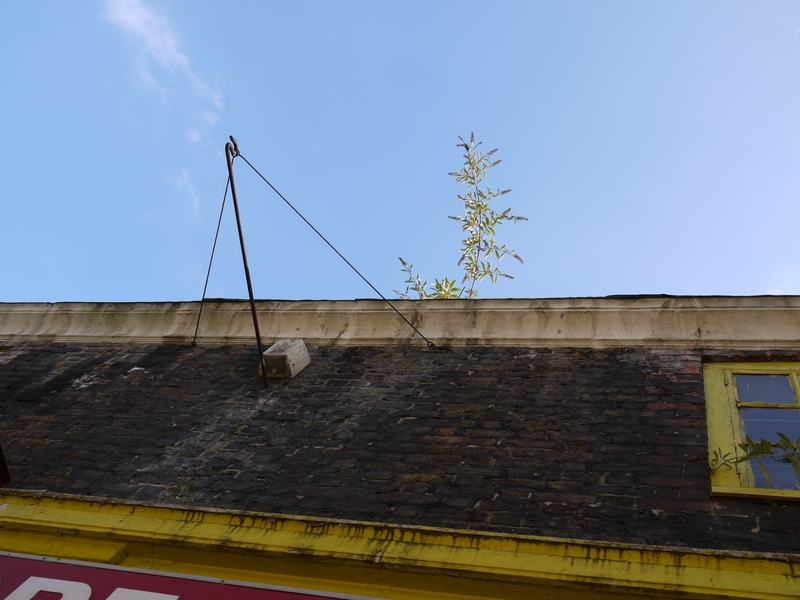 )… It was also one of the first plants to grow in bombsites during The Blitz and continues to hold a special significance for many Londoners. Introduced to British gardens from China in the 1890s, Buddleia did not take long to escape and was quickly invading the pre-Beeching railway network to reach every corner of the country. Like the bombsites of London and other cities, the disturbed ground of railway sidings, cuttings and embankments offered ideal growing conditions, and the drag created by trains allowed the wind borne seeds to easily disperse along these routes. By the time war broke out, Buddleia’s distribution was wide enough to readily take full advantage of the new habitats the Luftwaffe created for it. Since then, the changing fortunes of Britain’s urban landscape has provided ample opportunities for the ‘Butterfly Bush’ to become a familiar component of dereliction. Now considered invasive, Buddleia is seen as a problem species shading out natives and damaging buildings by growing out of cracks in masonry.